Drawing primarily from the years that produced Self Portrait, Dylan, and New Morning, but also touching briefly on The Basement Tapes, Nashville Skyline, and the new material from Bob Dylan’s Greatest Hits Vol. 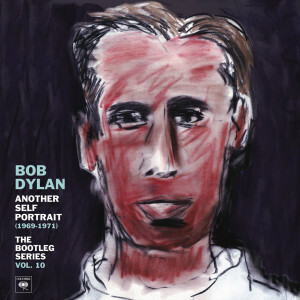 II, this tenth edition of the “Bootleg Series” focuses on a crucial turning point in Bob Dylan’s career, when for the first time he was drawing criticism and seemed to be making missteps. But set that all aside. The first disc of this collection is mostly rather excellent, and stands all on its own. From this evidence, Dylan had not run out of ideas. He had plenty. He was also capable of touching, heartfelt performances. But somebody, Dylan, his managers, the label…one of them, or bunches of them, seem to have conspired to present Dylan in the worst possible light back at the time of the original releases. This collection give everyone a second bite of the apple, so-to-speak. It finds Dylan doing something akin to the folk that he made in the early/mid 1960s. But by the dawn of the 1970s, commercial interests were looking west toward the burgeoning singer-songwriter movement that utilized more ornate studio embellishments than the kind of spare, acoustic folk Dylan was still frequently recording. This gives the impression that it was (stupidly, in hindsight) decided that Dylan needed to do something else. So he did. Dylan’s albums from the era ended up flawed, even dreadful at times. The songs on the first disc here are demo versions, unreleased outtakes, alternate versions, and a few versions that appear to be the released versions stripped of some or all original overdubs (akin, somewhat, to Willie Nelson‘s Naked Willie). The latter discs add more of the same, plus some live recordings. The deluxe edition includes a full disc of “The Complete, Historic ‘Isle of Wight’ Concert, 1969.” In truth the extra material is of marginal interest. The best material is on disc one; a single disc edition would actually be the one to get, if it existed. But all those details aside, this collection is great because it shows how even (or maybe especially) a huge star like Dylan faced pressure to do something “different” even when it was clear that doing more of the same is what would have worked best. The evidence is right here, and with hindsight thankfully the best of his efforts of the era are now available for all to hear.